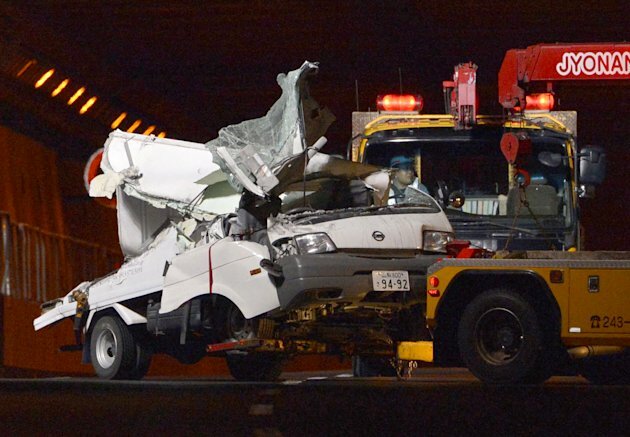 TOKYO (AP) — Japanese officials ordered the immediate inspection of tunnels across the country Monday after nine people were killed when concrete ceiling slabs fell from the roof of a highway tunnel onto moving vehicles below. Those killed in Sunday's accident were traveling in three vehicles in the 4.7-kilometer (3-mile) long Sasago Tunnel about 80 kilometers (50 miles) west of Tokyo. The tunnel, on a highway that links the capital to central Japan, opened in 1977 and is one of many in the mountainous country. The transport ministry ordered that inspections be carried out immediately on 49 other tunnels around the country that are either on highways or roads managed by the central government and of similar construction. Police and the highway operator Central Japan Expressway Co. were investigating why the concrete slabs in the Sasago Tunnel collapsed. An inspection of the tunnel's roof in September found nothing amiss, according to Satoshi Noguchi, a company official. An estimated 270 concrete slabs, each weighing 1.4 metric tons (1.54 short tons), suspended from the arched roof of the tunnel fell over a stretch of about 110 meters (120 yards), Noguchi said. The operator was exploring the possibility that bolts holding a metal piece suspending the panels above the road had become aged, he said. The panels, measuring about 5 meters (16 feet) by 1.2 meters (4 feet), and 8 centimeters (3 inches) thick, were installed when the tunnel was constructed in 1977. Company President and CEO Takekazu Kaneko said that the company was inspecting other tunnels of similar structure, including a parallel tunnel for traffic going in the opposite direction. Both sections of the highway were shut down indefinitely. Yoshihiro Seto, an officer with the Yamanashi prefectural police, said they can't rule out that there are more bodies or survivors in the tunnel, but the possibility is low. Goto said they hope to resume recovery work on Tuesday. Two people suffered injuries in the collapse. Big Dig contractors in Japan now? If it lasted since 1977 that's a new record for longevity for an installed feature by a Big Dig contractor. It was working when I logged off late last night. Oh well. 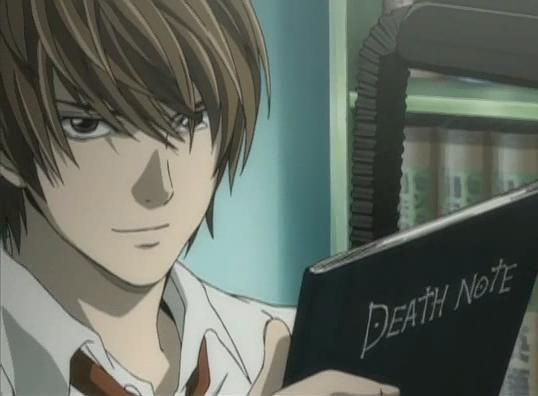 It was screenshot of Light Yagami from Death Note.